Sweetwater has reviewed 6 Audio Units available for iOS in their last episode on SweetwaterSound YouTube channel. 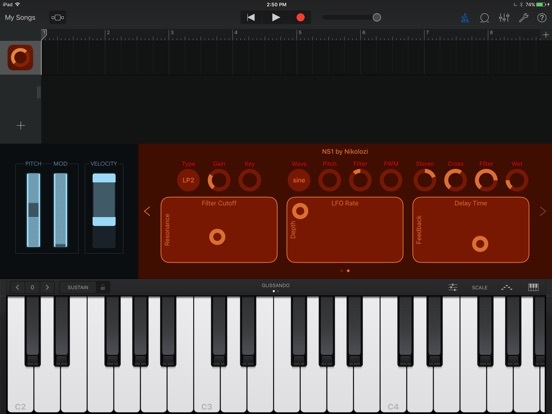 Voice Rack: FX is a real-time vocal multi-effects processor that can be used live or connected to other music apps like GarageBand. Transform your voice with 50 vocal multi-effect racks from TC-Helicon, the industry leader in vocal processing. 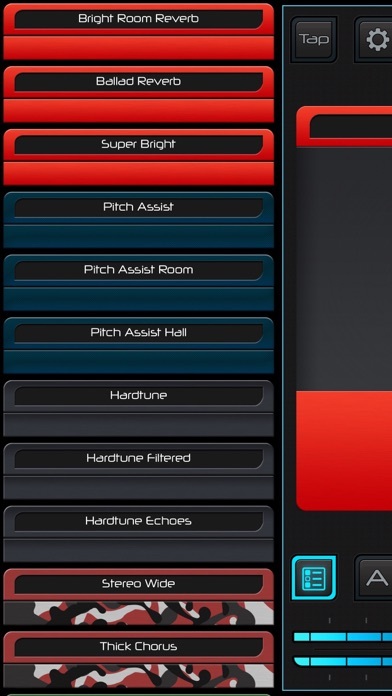 The vocal effect racks have been expertly authored allowing you to use your voice to create musical sounds including bass lines, drum sounds, or spice up your vocals with professional effects like reverb, echo, delay, distortion, pitch shifting or HardTune autotuning. These very same effects are used by some of your favorite musicians. 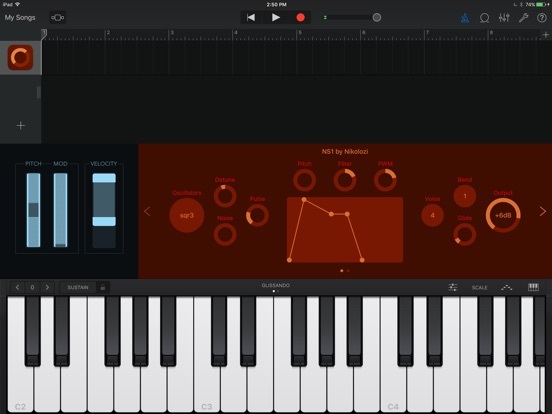 Connect Voice Rack: FX with some of your favorite music apps including GarageBand, giving you the ability to use these studio quality vocal effects in combination with any Inter-App Audio, Audio Unit Extension, or Audiobus capable app. 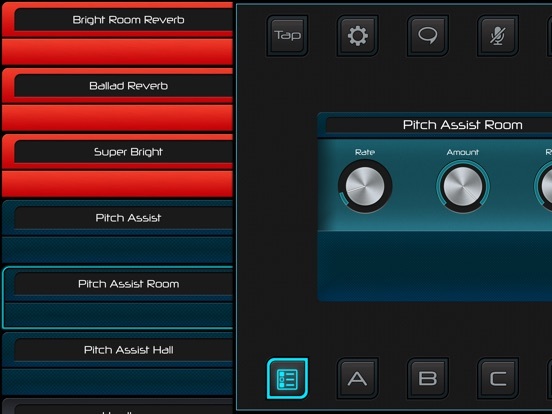 Voice Rack: FX brings TC-Helicon’s studio quality effects to your mobile music making. 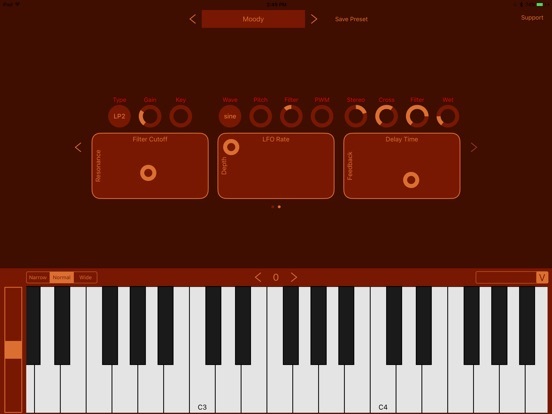 The same technologies found in TC-Helicon’s class leading hardware and iOS products can be found in this app. 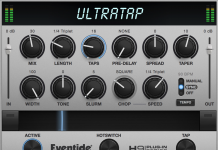 - Up to 3 editable parameters per effect rack. You can get started with Voice Rack: FX needing only a pair of headphones and your voice, or bring it with you to your next gig and plug it directly into the PA system to add a new level of brilliance to your performance. 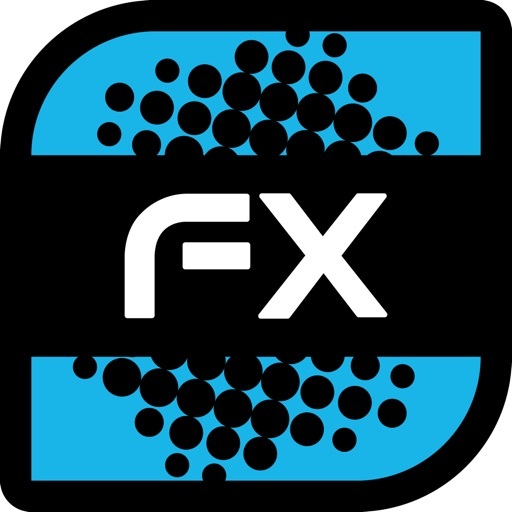 Voice Rack: FX was created by TC-Helicon, the world's #1 professional audio company dedicated 100% to the needs of singers. 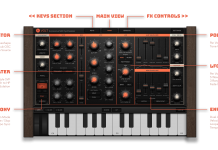 NS1 is a simple and intuitive virtual analog subtractive synthesizer. It works as an Audio Unit extension inside a host application such as GarageBand, Cubasis, AUM or MultitrackStudio. The clean interface consisting of knobs and XY pads lets you easily dial in and experiment with sounds. DC-9 Overdrive is a circuit modeled overdrive plug-in that emulates the famous Ibanez® TS9 Tube Screamer. The DSP algorithms in DC-9 take into account the entire schematic, using the latest modeling techniques. This gives you an authentic analog sound that matches the character of the physical circuit. DC-9 is an Audio Unit Extension (AUv3) that works inside host apps. Just open up your favorite host that supports Audio Units and add it as an effect. The controls expand when touched so they can be easily seen while tweaking. 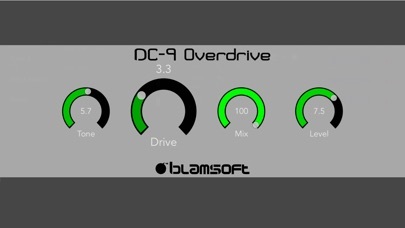 DC-9 brings the distinctive warm overdrive crunch to your favorite iOS DAW. 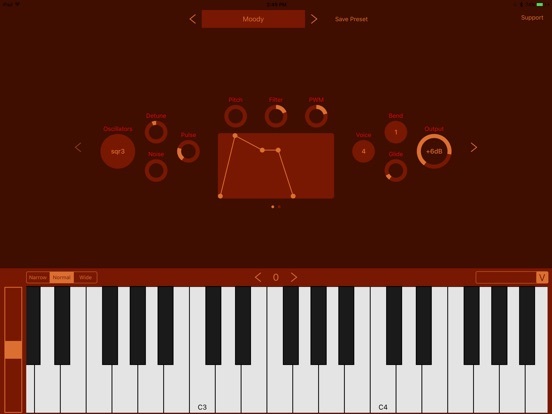 Compatible with GarageBand, Cubasis, Auria, BeatMaker, AudioBus, AUM, Modstep, and more. DC-9 gets its name from the Diode Clipper circuit used to create the distortion. 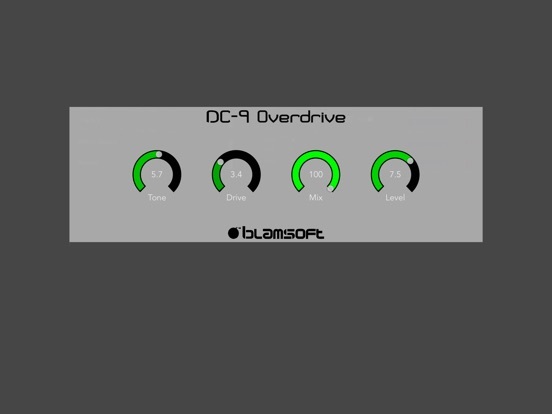 Accurate modeling of the clipper by circuit simulation gives DC-9 an edge over the common distortion plug- in. The effect was carefully tuned using A/B comparisons to the original stop box. 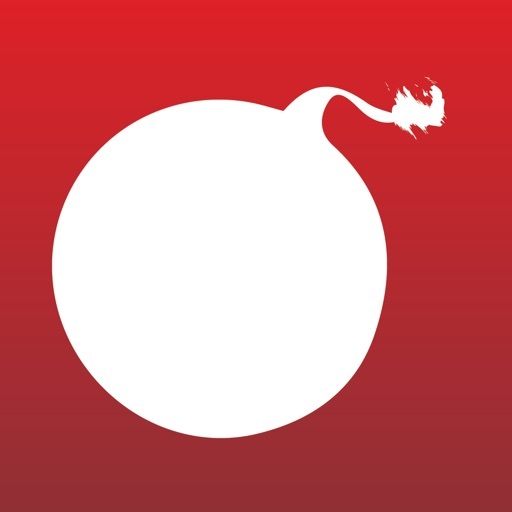 Blamsoft brings their experience creating top notch plug-ins for the desktop to iOS. The same algorithm is found in the popular Rack Extension for Propellerhead Reason. You get a desktop quality algorithm at an iOS friendly price. Tap Developer Website for sound examples. Note: Second screenshot shows the effect of touching a control. 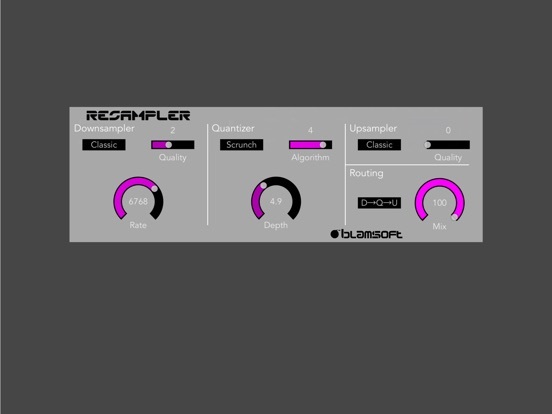 Resampler is a creativity inducing bitcrusher packed with audio algorithms stretched past their limits. Multiple flavors of sample rate reduction and quantization provide endless possibilities for sonic mayhem. There is complex math going on, but Resampler gives you plenty of options without getting bogged down in technical details. 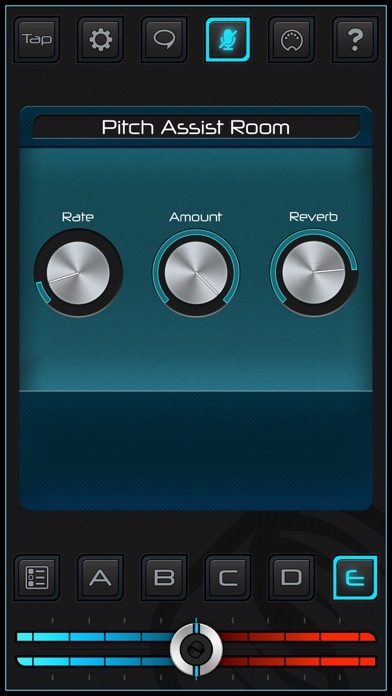 By trying a few different settings and tweaking the knobs, you will be creating cool bit crushing effects in no time. 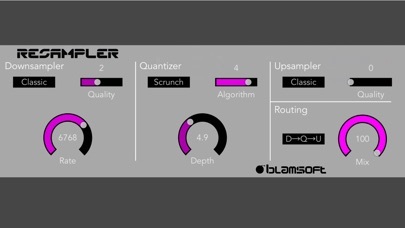 Resampler brings flexible bit crushing to your favorite iOS DAW. Resampler is an Audio Unit Extension (AUv3) that works inside host apps. Just open up your favorite host that supports Audio Units and add it as an effect. 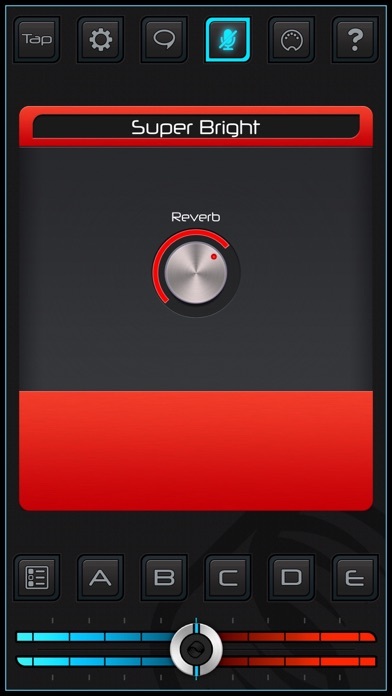 Compatible with GarageBand, Cubasis, Auria, BeatMaker, AudioBus, AUM, Modstep, and more. 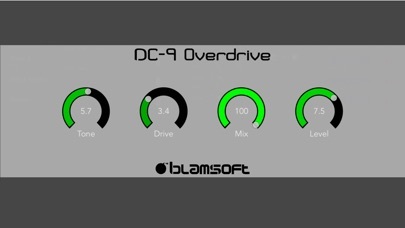 Blamsoft brings their experience creating top notch plug-ins for the desktop to iOS. The same features are found in the popular Rack Extension for Propellerhead Reason. You get a desktop quality plug-in at an iOS friendly price. Tired of the stock reverb in your DAW? Looking for a more modern sound? 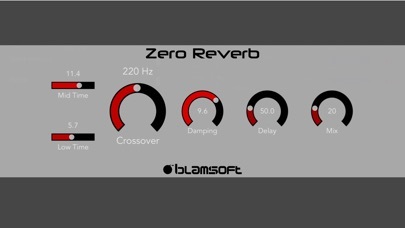 Zero Reverb is an Audio Unit Extension (AUv3) that works as a plug-in inside host apps. Just open up your favorite host that supports Audio Units and add it as an effect. The controls expand when touched so they can be easily seen while tweaking. 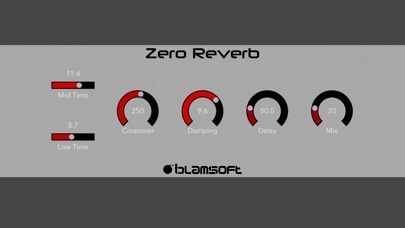 Zero Reverb will soon become your go-to reverb plug-in on iOS. 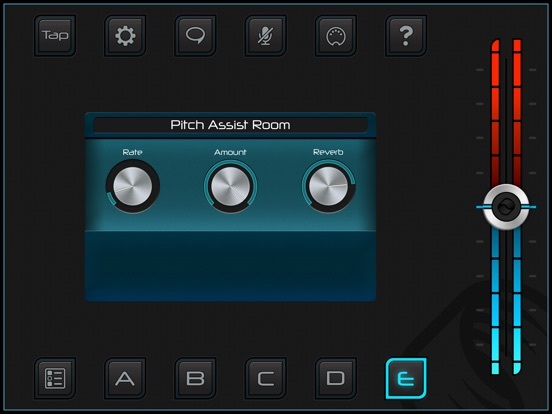 Compatible with GarageBand, Cubasis, Auria, BeatMaker, AudioBus, AUM, Modstep, and more. 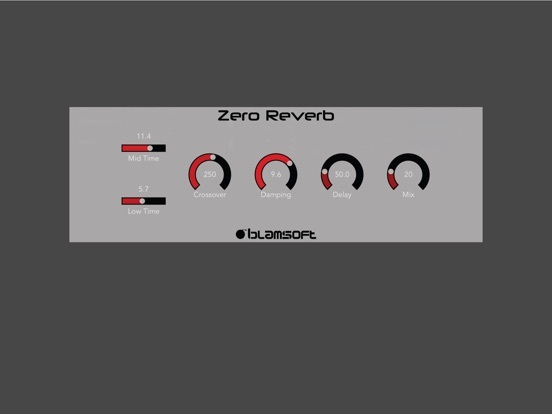 Zero Reverb is a high quality Feedback Delay Network reverberator. 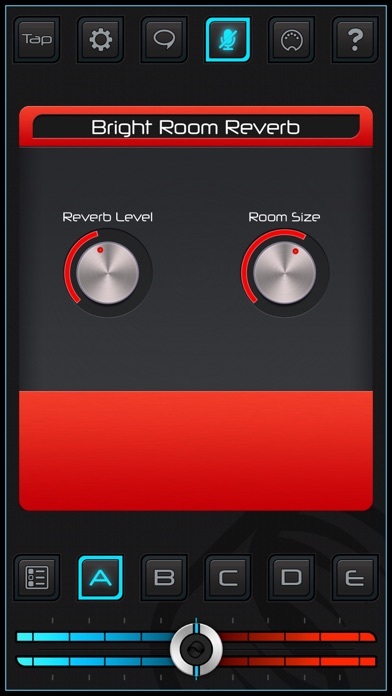 The algorithm has rich feedback with smooth decay for a modern hall-like reverb character. 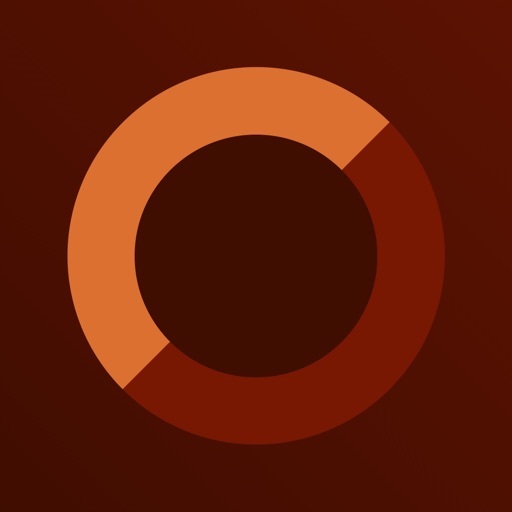 Blamsoft brings their experience creating high quality plug-ins for the desktop to iOS. The same algorithm is found in the popular Zero Hybrid Synthesizer Rack Extension for Propellerhead Reason. 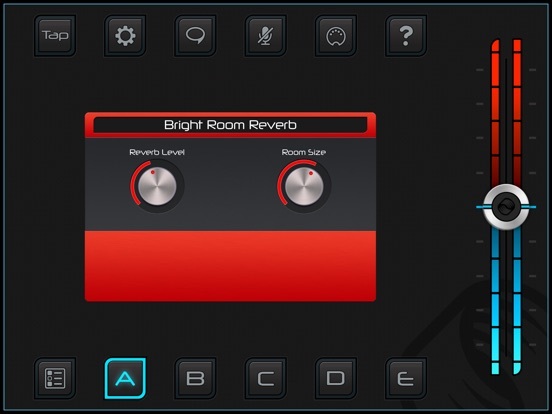 The available parameters allow you to dial in a wide variety of reverb textures. 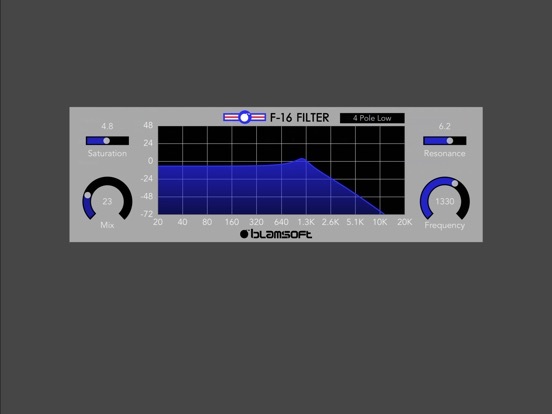 F-16 Filter is a flexible multi-mode filter with frequency response display. It features sixteen modes, frequency and resonance controls, saturation for analog-style soft clipping, and wet/dry mix. The 4 pole lowpass mode provides the frequency response of classic the Moog ladder filter. The other modes provide all of the choices available in the famous Oberheim Matrix 12 and Xpander synthesizers. At the heart of F-16 is a Zero Delay Feedback algorithm, the latest in DSP filtering technology. 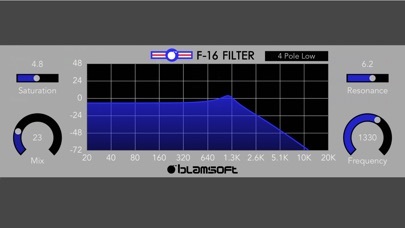 F-16 Filter gives you a wide variety of filtering options with pristine fidelity. 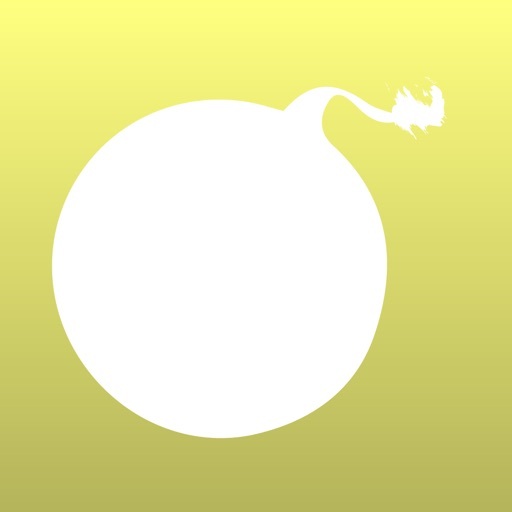 F-16 Filter is an Audio Unit Extension (AUv3) that works inside host apps. Just open up your favorite host that supports Audio Units and add it as an effect. 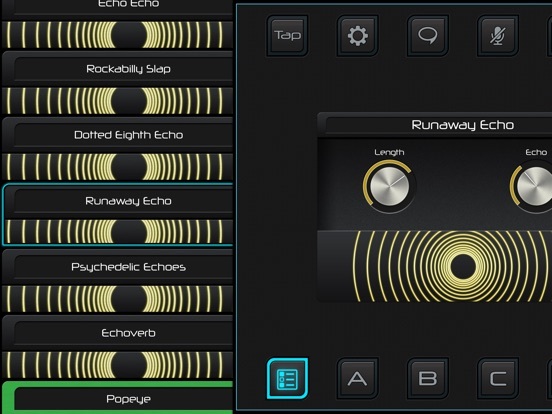 Compatible with GarageBand, Cubasis, Auria, BeatMaker, AudioBus, AUM, Modstep, and more. 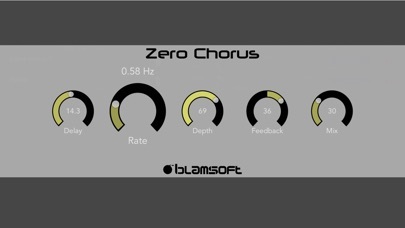 Blamsoft brings their experience creating top notch plug-ins for the desktop to iOS. The same filter modes are found in the popular Rack Extension for Propellerhead Reason. You get a desktop quality plug-in at an iOS friendly price. In addition to controlling the filter through the knobs and sliders, you can use the frequency response display to control cutoff frequency and resonance simultaneously. Looking for a rich chorus effect without a muddy low end? 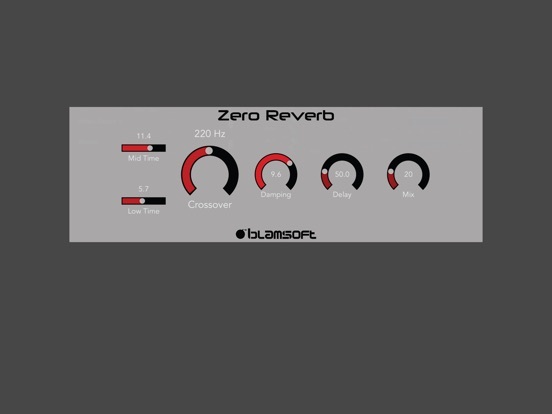 Zero Chorus is a high quality Roland Dimension D style chorus plug-in. The addition of a feedback control improves versatility by enabling flanging effects. 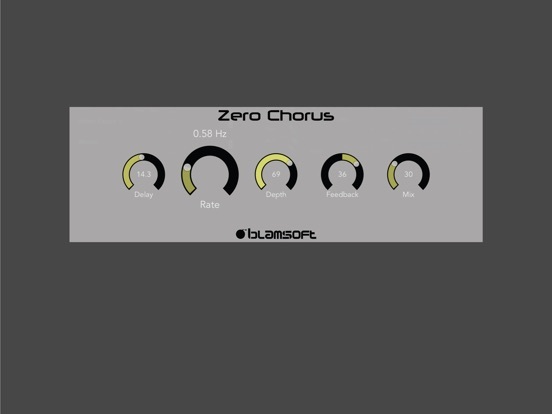 Zero Chorus is an Audio Unit Extension (AUv3) that works inside host apps. Just open up your favorite host that supports Audio Units and add it as an effect. The controls expand when touched so they can be easily seen while tweaking. Zero Chorus brings a superb chorus algorithm to your favorite iOS DAW. 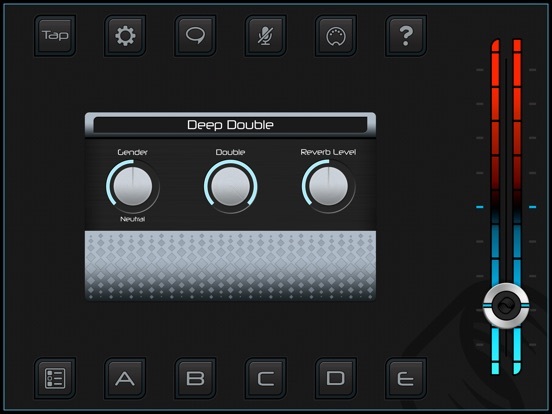 Compatible with GarageBand, Cubasis, Auria, BeatMaker, AudioBus, AUM, Modstep, and more. 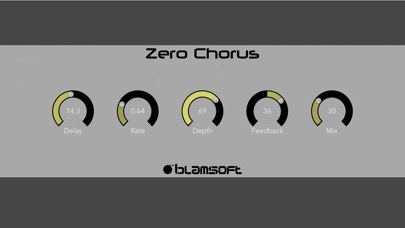 Blamsoft brings their experience creating top notch plug-ins for the desktop to iOS. The same algorithm is found in the popular Zero Hybrid Synthesizer Rack Extension for Propellerhead Reason. The available parameters allow you to dial in a wide variety of chorus effects, from transparent to heavy. It's great for thickening electric guitar or synth parts. You get a desktop quality algorithm at an iOS friendly price.